Safari is the most prolific activity one can achieve in any kind of jungle trip and especially when we talk about the India Wildlife Tour, we can proudly say: yes, safari has got some significance in the Indian jungles. Above all, the tremendous popularity of the Jim Corbett National Park, with some good obvious reasons, has brought the safari experience in the Corbett vicinity to a greater extent. Located in the hill state of Uttarakhand, the Corbett Tiger Reserve proudly claims to be the first national park in India by spreading across 520 sq km of area; and is considered as the best protected area for most of the endangered species in India, especially the Indian tigers. The creative part of this reserve is that the Corbett Tiger Reserve offers different Jungle Safari tours for the visitors in an effort to combine wildlife awareness & adventure tourism for the visitors coming here. The most appealing and demanding type of safari in Corbett, that brings a majestic feeling in you. Imagine sitting on the back of the elephant and penetrating deep into the lush and high grasslands; this is something a very exciting feeling that you are getting a closer glimpses of your favorite and endangered species quite safely. The quiet footsteps of this giant creature can bring your undisturbed interference amidst the wildlife of Corbett. 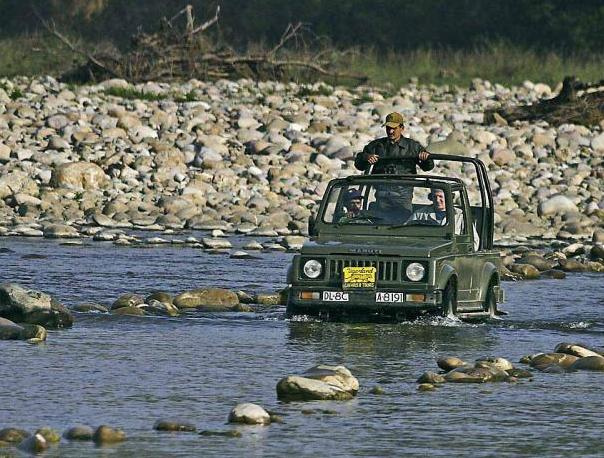 Jeep Safari in the Corbett arena is the other best option to enjoy a complete safari tour in Corbett. Since private vehicles are not allowed in the core areas; an option of Jeep Safari is the next suited option for the enthusiastic wildlife lovers. An authorized gypsy can be taken to the different Corbett zones to explore different species including the majestic tigers for an iconic trip to Jim Corbett National Park. 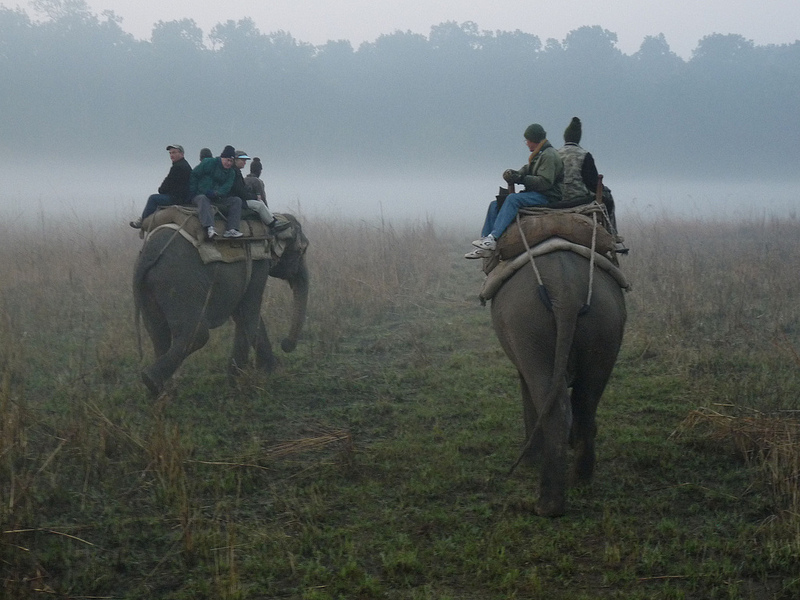 If you are in a group or in a team a canter safari makes a good difference of wildlife tour in Corbett. Since, a canter can accommodate at least 10-12 persons; it’s quite safer and easier to get inside the core area of the jungle. A prior permission is needed here and for advance bookings, the tourists can do it from the Ramnagar office. –Dhikala Safari Zone- the best safari zone in Corbett Reserve which is located at the entrance gate of Dhangari. It’s a perfect spot to get the entire wildlife glitters including the tremendous natural beauty. 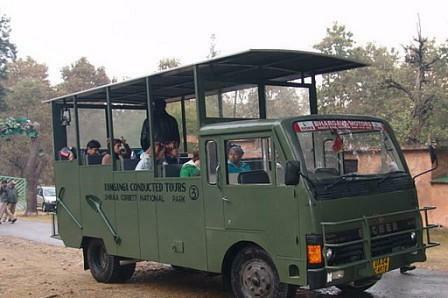 The tourists can enjoy all kinds of safaris at this zone including the most interesting elephant safari. –Bijrani Safari Zone- the Bijrani area is 11 kms away from the Ramnagar area. The area is beautified by the stream which flows along the riparian forest and the bushes named lantana. Bijrai is famous for tiger sightings and an elephant ride is the perfect medium to get closer to the king of the jungle. –Jhirna Safari Zone- With a distance of 16 km away from the Ramnagar village, the Jhirna Safari Zone is filled with natural beauty and is famous for sightings of wild beer. This is the area where jeep safari is prevalent and can be enjoyed completely. –Durga Devi Safari Zone- 28 kms away from the Ramnagar town, this zone can be visited upon the permission by the jungle officials. The area is hilly in nature on the banks of Ramganga River where the elephant safari is the perfect mode for wildlife tour. 15th Nov- 15th June is the ideal time to catch the glimpses of the roaring creatures through safari mediums at its multiple attractive zones.